Goosebumps movie poster: The 2015 children’s “horror” movie stars Jack Black as R.L. Stine. Parents, be forewarned, the new Goosebumps movie is cornier than a state fair food court. It’s campy and full of obvious jokes that might make you roll your eyes. Just keep in mind that the Goosebumps movie wasn’t made for you: it was made for the 10-year-old kid in your life. And kids that age love those eye rollers. RELATED: Check out my review of the 1990s Goosebumps TV series! Viewer beware, you’re in for a scare! 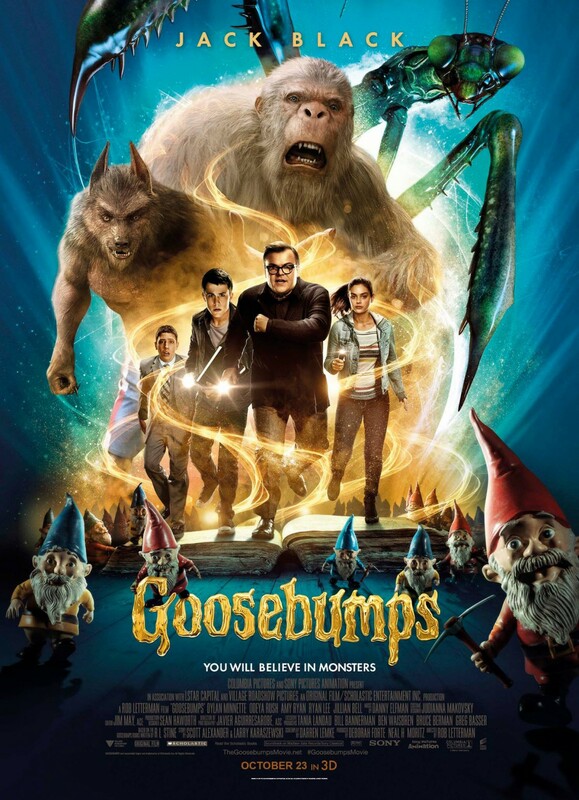 This film is based on the fantastically successful children’s chapter book series Goosebumps by R.L. Stine. The books themselves, and this movie, like Hotel Transylvania 2, pay loving homage to monsters of 1950s and 1960s B-grade horror films (a character even references The Blob starring Steve McQueen, one of my personal “bad” horror movie favorites). The books are perfect for kids who are ready to add some spooky, scary fun to their reading adventures, without ever getting too intense. The Goosebumps movie incorporates the books, a rather obvious marketing ploy, with Jack Black playing R.L. Stine himself (speaking in a mysterious, unidentified accent that really comes and goes). 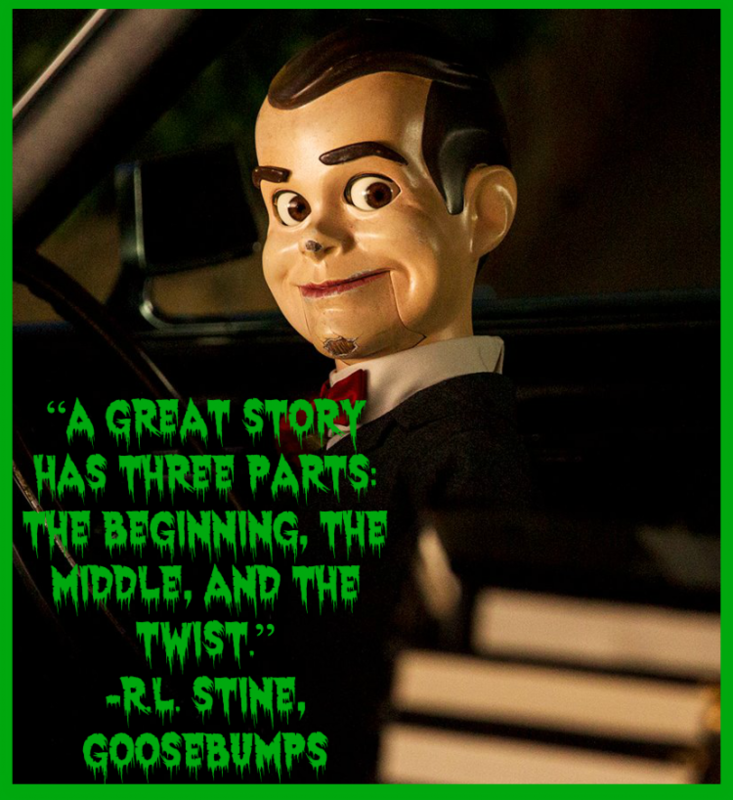 The trouble begins when Zach (Dylan Minnette), a teen with a crush on Stine’s daughter (Odeya Rush), accidentally releases the monsters of Stine’s imagination from the original Goosebumps manuscripts. Malicious garden gnomes, zombies, the Invisible Boy and many other popular Goosebumps favorites then terrorize the town. The mastermind behind the destruction is Slappy, the talking ventriloquist dummy, also the voice of Black. The fact is that I’m thrilled this movie got made. There are so few spine-tingling movies for tweens that strike the right balance of scary with kid-friendly entertainment value. The new Goosebumps movie works in lots of humor, a great foil for some of the scariest moments that helps kids handle it by letting them laugh out loud. 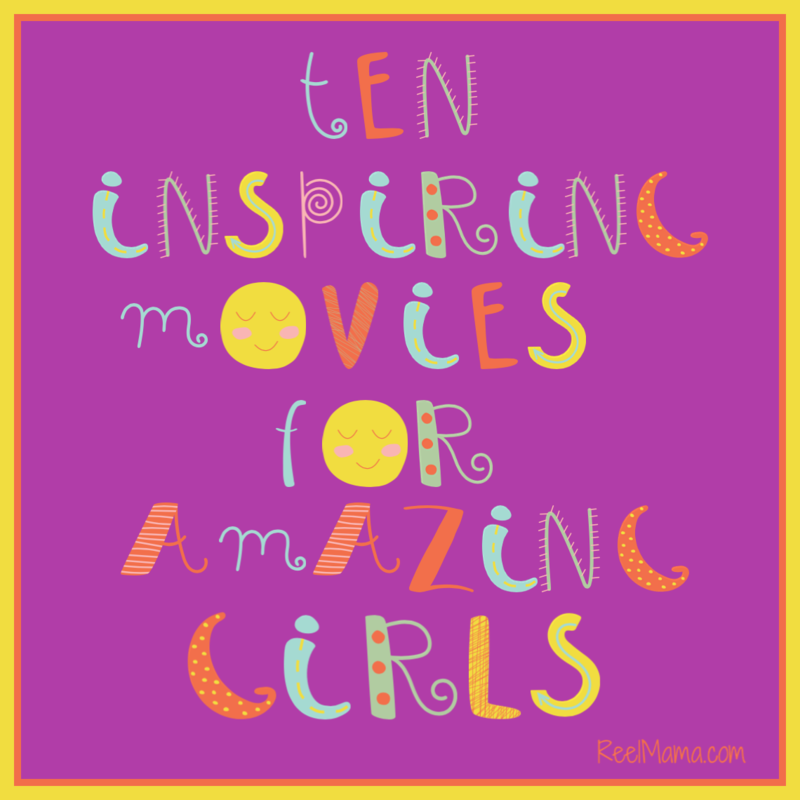 This is a movie that tweens will enjoy at slumber parties for years to come. The Goosebumps movie isn’t painful to sit through for adults. It’s actually pretty fun, and I found myself chuckling in spite of my grownup desire to rise above the cheese factor. The movie is rated PG, but I wouldn’t recommend the movie for younger than about seven, because some of the scenes featuring monsters such as the Abominable Snowman and the Werewolf of Fever Swamp are pretty scary. I recommend this as a fun lead-up to Halloween this weekend. For more on this movie, visit Common Sense Media.